There’s no denying it: Failure feels bad. Losing hurts. Missing the mark is always unpleasant. But all the motivational quotes about failure, learning from mistakes, and using misfires as an impetus for pivoting toward success — they’re all true. Failure gives you tangible, tested proof of what doesn’t work — which is step one toward finding what does. This is one of the crucial ingredients in Google’s innovation recipe. They famously tout the surprising benefits of failure, to the point of producing a ‘quarterly failure report’ to glean lessons learned. It is in this spirit that we use what we call Lead-to-Fail reporting to gauge the success of recruiting campaigns. Before we go into lead-to-fail detail, let’s first look at the flipside of lead-to-hire. We have a lead-to-hire tool here at Randall-Reilly, which we use to comprehensively track campaign results for our recruiting clients. It offers lead attribution insight and helps both us and our clients discern how many leads and hires their campaigns produce. The basic idea is that our clients either send us a spreadsheet or give us access to their Applicant Tracking System to show how many hires they made, say, in the past month. We then upload this driver application data into our own database (generally just driver emails and/or phone numbers), where we can see all the touchpoints that have been made with the applicants. Using data from our performance marketing team, we can determine exactly how a candidate made contact with a client, whether through a call from a click-to-call ad, a Google search, a remarketing banner, social media post, or whatever. This way we can understand lead attribution and tell how many hires were generated as a result of their campaign. We can see precisely when drivers called or submitted forms, and determine which campaign they responded to. Hires only offer one part of the story, however. 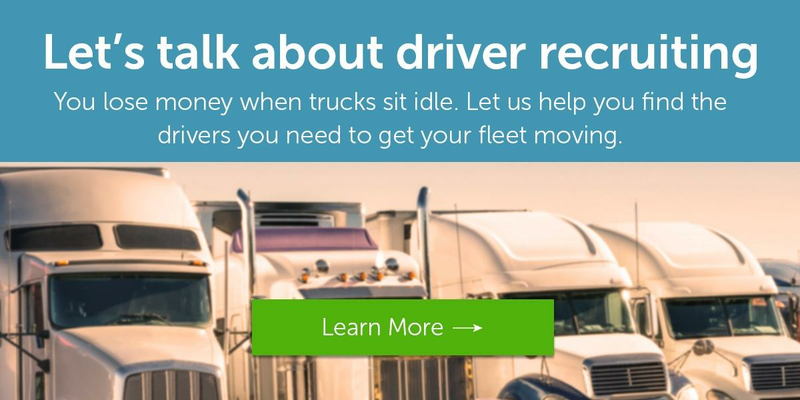 Let’s say a fleet hired 150 new drivers in February. Obviously not all the leads they receive in a given month end up making the cut. Suppose in this case the 150 February hires they made came from a pool of 2,000 leads that were generated through various marketing channels. Lead-to-Fail is all about analyzing those 1,850 leads who didn’t end up getting hired. As opposed to ignoring these leads, we try to learn from them. Why didn’t they make the cut? Do we see any notable disqualification trends? If so, how can we optimize campaigns to weed out more unqualified prospects? For instance, if a driver ends up getting DQ’d for failing a physical, there’s not much we can do there. But if we see that a ton of drivers were DQ’d for lack of experience, or being in the wrong state, that’s something we can address. If we’re seeing an influx of leads from Montana, and a client’s looking to hire in Ohio, it’s time to tighten a campaign’s geo-targeting parameters. Or if a client is getting a ton of leads without the experience they require, they may need to tweak ad and landing page copy to more prominently feature the minimum experience qualification. In the same vein, if we see that a certain lead source (Facebook, Bing, banners, etc.) keeps producing duds, we can adjust accordingly by turning off what’s not working. And yet a lot of fleets simply discard these lost leads or banish them to a general, non-specific disqualification bucket. Lead-to-fail is about testing, tweaking, and tinkering to find just the right blend of marketing techniques and channels that lead to the specific result you want to achieve. On this note, one of our competitive edges is our ability to produce different landing pages for each campaign platform. If we’re running a campaign on Google, Bing, Craigslist, and Facebook, our team can whip up correlating landing pages for each channel. This allows us to A/B test, optimize underperformers, and monitor which channels are producing at the highest rate. Not to mention precisely track where leads are coming from. That’s how we use lead-to-hire and lead-to-fail in your quest for the driver recruiting holy grail.